Meet Josh Zepess, relentless Freedom Fighter and the Founder and Principal Unbroker of Lifesaver Leadership Development. He is a corporate America escapee that fortunately made it out with his life instead of serving a life sentence. After 20 years of climbing the ladder as an engineer and executive, he saw that the ladder was actually the down escalator and decided to hop off and find the stairs. 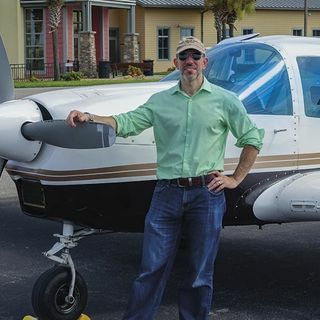 With ventures into entrepreneurship, franchising, and the financial industry, he realized how ... See More most of us are living ABOVE our means and BELOW our potential. Knowing that it doesn’t have to be that way and that it can’t stay that way, his mission is to build a platform to teach and enable people in all aspects of real Freedom – money x time x identity. He is based in Orlando, FL and continues to spread his passions on the international stage as a speaker, published author, and creator. His next book coming this fall, THE CLIMB TO THE BOTTOM, will expose the simplicity of money, wealth, and freedom that you were never taught.